Her Enemies Failed to Stop Memorial for Barbara Kulazska: Free Speech 1; Censors 0! On June 15, we lost lawyer Barbara Kulazska to lung cancer at age 64. [An obituary will appear in THE FREE SPEECH MONITOR next month.] Barbara was one of the most important free speech lawyers of her generation. She worked closely with Douglas Christie in Zundel 11, in the Zundelsite case and did fantastic work with Marc Lemire in fighting Richard Warman and getting Sec. 13 of the Canadian Human Rights Act (Internet censorship) declared unconstitutional. However, the dark forces of thought control and censorship could not leave this formidable woman alone in death. The Canadian Association for Free Expression organized a private memorial on July 12 at the Richview Branch of the Toronto Public Library. Word leaked out on July 10. The enemies of free speech — Warren Kinsella, a major antagonist in the YOUR WARD NEWS mailing rights appeal, Richard Warman (many of whose libel case victims she had defended), the usual Jewish pro-censorship groups, Bernie Farber , assorted street thugs and even John Tory, Mayor of Toronto, demanded that the memorial be cancelled. The library hung tough and laid on extra security. A senior manager sat in to make sure there was no “hate speech” (What a pathetic nation we’ve become!) Metro Police sent three masked Antifa street urchins, one allegedly a masked female, packing. The emotional farewell proceeded quietly and respectfully. The voices raised to cancel the meeting were marked by their vehemence and rage. “Warren Kinsella, a Toronto-based political consultant and commentator who is a staunch opponent of Fromm’s, disagreed. ‘Public services are not supposed to be used to promote discrimination. The library in Etobicoke is doing that. '” (CBC News, July 12, 2017) How is honouring a dead lady “discrimination”? You’d suspect such lack of logic more from the Antifa street losers who’d sucked too long on their crack pipes. “‘It is truly shocking that individuals who spread hatred, deny the Holocaust and have ties to neo-Nazi groups are being provided a permit by the Toronto Public Library to host an event inside a public building,’ [Councillor James] Pasternak said. “Those tied to hate and bigotry have no place in our libraries.” Pasternak, who likely did not hail from County Tipperary, clearly supports political discrimination. Beside itself that it hadn`t been able to shut down the memorial, elements of the lamestream media took their revenge. The sleazy National Post (July 13, 2017) devoted almost a full page to the memorial. Its headline screamed `Far-right extremists converge at memorial. `The reporter wasn`t there and chose to use the weaponized words to signal that the attendees were `bad`. As if to illustrate this was a large picture of three goons in black masks. The caption read: `Three masked people stood outside the Richview branch of the Toronto Public Library while a memorial for Toronto lawyer Barbara Kulazska was held. `One might reasonably conclude that these thugs were guards or attendees. In fact, they were Antifa who had shown up to protest and were told by the police to get lost. And, not to be picky, Miss Kulazska was not a `Toronto` lawyer. However, the controlled media never let the facts get in the way of a good smear. And the supposedly “right wing” Toronto Sun (July 13, 2017) ran a rant by Liz Braun “Don’t blame library for hate gathering.” The headline was a lie. The memorial was NOT a “hate” gathering. Hate, sadly is a criminal offence in this country. No one at that meeting was charged let alone convicted for anything said that night. The meeting was to celebrate the life of a brave diligent woman. It wasn’t about hating anybody. Braun had not attended the memorial but described the attendees as ” pathetic anti-Semitic/anti-black/anti-female/homophobic/Islamophobic/etc. garden variety bigots” Nothing at the meeting was said criticizing Blacks, women, homosexuals or Moslems. Indeed we were honouring a woman! Canadian free speech lawyer and close associate of Doug Christie, Barbara Kulaszka, passed away at age 64 from lung cancer on June 15. Barbara played a key role in research and drafting legal facta in the second Zundel “false news” trial in 1988. She was a huge help in Doug Christie’s attack on Canada’s war crimes law in the Finta case in 1990. The appeal to the Supreme Court virtually destroyed the law’s usefulness to the vengeance lobby as the following of reasonable orders was accepted as a defence. In later years, Barbara was a vigorous defender of free speechers charged with libel by Richard Warman, people like Marc and Connie Fournier (a long and complicated case) and myself. 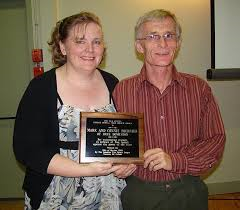 She was Marc Lemire’s lawyer in his heroic confrontation with the Canadian Human Rights Tribunal. He was prosecuted — another Richard Warman complaint — under the notorious Sec . 13 (Internet censorship) which was repealed by Parliament in 2012. Marc’s was the first victory — even if partial — under Sec. 13. She continued to represent him as the question of the constitutionality of Sec. 13 moved to the Federal Court and then the Federal Court of Appeal in 2013. She also represented Henry Makow in a complaint from the Canadian Jewish Congress to the CHRC. Barbara had been in delicate health for many years. She was first trained as a librarian and then switched to law. She died in her hometown of Brighton, Ontario, surrounded by family. * Music by Christian Klein and Dieter Kahl. * Tributes by Marc Lemire, Christian Klein, Lynda Mortl, Paul Fromm and others. * Tributes read from people across the world. Satire is the use of humour and exaggeration for social criticism. Few creatures on God’s green earth are more joyless and humourless than the politically correct. Even a jackass occasionally cracks a smile. And there are few people more humourless than the Canadian Human Rights Commission thought police. In a Richard Warman complaint (yes, who else, but the complaint champion? ), Marc Lemire was accused of exposing privileged minorities to “hatred or contempt” for publishing what has been referred to as “the Immigrant Poem” on his website, The Freedomsite. This poem in one form or another has circulated around the office water cooler for 30 years. While Marc Lemire was not convicted, that such harmless political satire could ever land a person in trouble shows how bitter is the struggle for the freedom of speech of Canada’s dispossessed European Majority. Luckily, in June of this year, Sec. 13, the censorship provision of the Canadian Human Rights Act, was finally repealed by Parliament. CAFE played a major role in the battle to rid Canada of at least this weapon of thought control. ___ Here is my donation of $_______ to help CAFÉ’s ambitious campaign for free speech across Canada in 2014, supporting Arthur Topham and other victims of censorship. ___Please renew my subscription for 2014 to the Free Speech Monitor ($15). $___ Ken Hilborn booklet order from back of this coupon. Professor Kenneth H.W. Hilborn was an outspoken scourge of political correctness. Over a 28 year period, he wrote 13 booklets for C-FAR’s Canadian Issue Series. Here is a selection you might wish to add to your library. Welfare cheques – they make you wealthy! Alberta Health Care – it keep you healthy! Thanks to you, you Canadian dummy! but neighbour’s patience wearing thin. Finally, Canadian guy moves away. We have hobby, it’s called breeding. Welfare pay for baby feeding. Kids need dentist? Wives need pills? We get free! We got no bills! Canadians crazy! They work all year, to keep the welfare running here. We think Canada darn good place. Too darn good for that white race! If they no like us, they can scram. Got lots of room in Afghanistan! “I welcome comments from people with different and divergent opinions”, which includes “Dr Dawgs” own lawyer – Peter Burnet who admitted to being a poster on the Dawg’s Blawg website.